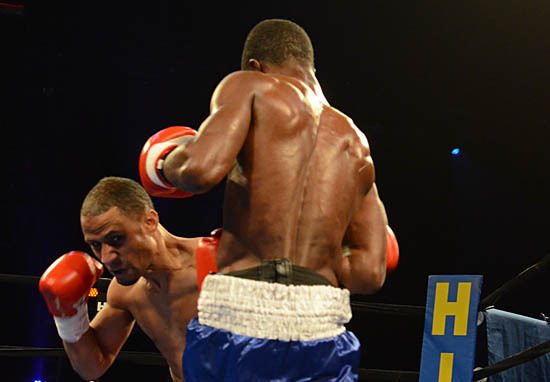 HAMMOND, IN, November 27, 2013 – Continuing a Thanksgiving Eve tradition, Hitz Boxing presented another Black Wednesday Fight Night at the Venue at the Horseshoe Casino, featuring mostly local boxers building their skills and their resumes. Though there were a few lackluster bouts, there was more than enough explosive action, especially when the local favorites went after each other for bragging rights. Lending a somber note to the evening was the ten count tribute to recently slain fighter Michael “The Midnight Stalker” Walker. 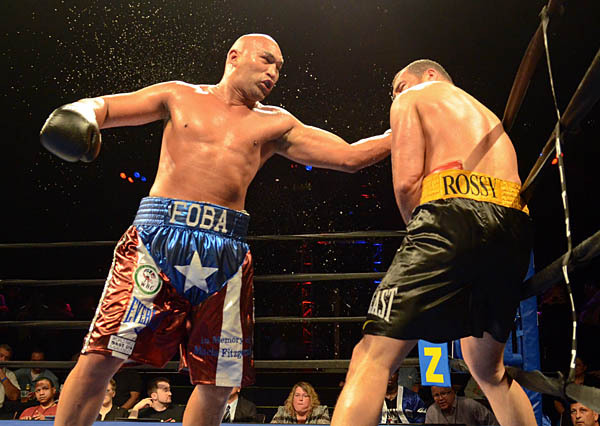 HAMMOND, IN, June 8, 2013 — Fres Oquendo did not make good on his prediction of ending fellow-Puerto Rican Heavyweight Derric Rossy’s evening early in the Main Event of Fight Night at the Horseshoe, presented by Bobby Hitz June 8 at The Venue at the Horseshoe Casino in Hammond, IN. Though his performance was enough for him to hang onto his WBA Fedelatin as well as winning the NABA and WBC Silver Heavyweight Championships, he was not able to decisively impose his will on the younger Rossy through ten rounds. 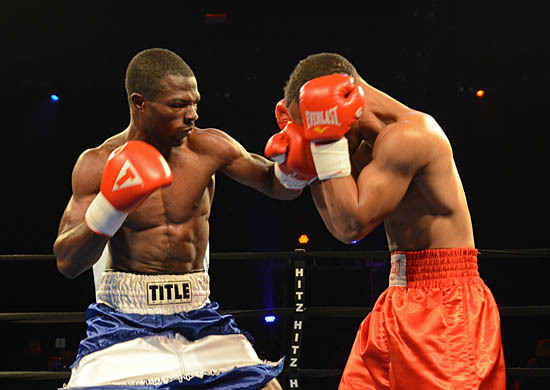 Hitz gave his fighters the chance to shine on the undercard, and they did, making for plenty of early-round knockouts. A few of the hired opponents did not recognize their roles, taking the house fighters the distance in entertaining scraps while others hung on longer than anyone could have predicted before tasting the canvas.